Whether you’re looking to develop your first construction site or own a business that needs some considerable remodeling, you’re probably going to need a loan. In order to choose the one that fits your needs, you’ll need to figure out which one is best for you. Upon making that decision you’ll need a completed Business Plan, Executive Summary some pretty deep resources and trustworthy connections in order to get the right loan for the right terms that fit your specific needs…and that’s where our team at FOND can help. FOND has extensive knowledge of what lenders today are looking for in completed project due diligence as well as our mass of worldwide lending connections allow us to physically hand or transmit your finalized application form to a lender who understands exactly what your goal is and is ready and willing to fund that goal on you or your company’s behalf. FOND brokers non-conforming loans from hundreds of thousands to millions of dollars in markets nationwide. FOND functions as a preferred origination point for a large group of banks, institutional lenders, investment funds and private finance companies. 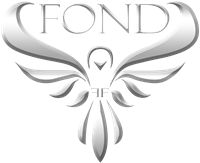 FOND is not a direct lender. In states where FOND is not a commercial mortgage lender or commercial mortgage broker, FOND acts strictly as a loan packager for, or a referral source to, those entities licensed to lend on commercial real estate. Bridge program for office, retail, industrial and multi-family. I.O, $5M to $40M, 75% LTV and rates starting at 6.5%!